The recent ICAST show in Las Vegas offered a showcase of new products that will hit the shelves during the upcoming year. And it should come as no surprise to any angler that one of the most innovative products at this years show came from Bill Lewis Lures, makers of the world famous Rat-L-Trap. The “Bleeding Shad” series is a work of art and designed to closely simulate an injured baitfish. Like any proud papa, Ken Chaumont is excited about the new lure and expects this lipless crankbait to be one of the hottest baits available for our upcoming springtime fishing. 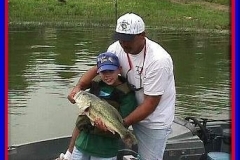 All of you anglers know that big fish feed on little fish, especially if the little fish is injured. A lure with good vibration, an erratic swimming pattern, natural sounds and bleeding gills will definitely trigger a strike. The new Bleeding Shad has all of these qualities and is designed to get a predator gamefish into the attack mode. The 2003 Rat-L-Trap Catalog states: “Studies from our G-Net-X research center confirms this attack mode is a generic reflex that all predators possess.” At Rat-L-Trap they don’t just do the studies, they also use this information to build better lures. According to Chaumont, an important quality of the Rat-L-Trap that makes it even more successful is Liv-N-Sound. “Independent tests have proven that the Rat-L-Trap produces natural sounds that are nearly identical to sounds made by schooling shad under distress. 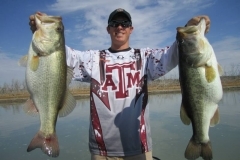 These specific sounds are highly effective for attracting bass and other gamefish and for stimulating aggressive feeding behavior. 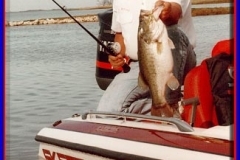 These findings are among the most significant in fishing history and provide a scientifically proven correlation between natural bait and artificial lure design.. the Rat-L-Trap.” If youâ€™re a Texas bass fisherman, you know that red is THE color to be chunkin’, especially when bass are in skinny water during the springtime. At this time of the year red will usually outsell other colors 10 to 1. 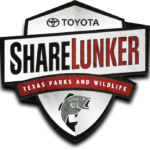 The Bleeding Shad has red in small splotches around the gills, fins, on the underbelly and in both of the Eagle Claw Reflex Red Hooks. The red color is very similar to a “blood red” and is specifically designed to “trigger” a strike. The combination of Liv-N-Sound and the blood red makes the Bleeding Shad a dynamite addition to your tacklebox. How To Fish A Trap – One of the biggest advantages of fishing a Rat-L-Trap is the simple fact that it is very difficult to fish it wrong. However, most of the pro’s will be quick to offer that a “burn and stop” retrieve will almost always work best. 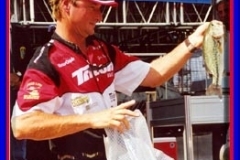 This technique involves making a cast, cranking the bait back to the boat “fast”, and periodically stopping the retrieve. 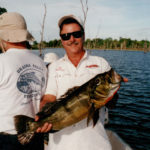 The strike usually comes just as the retrieve is either stopped or started because that is when the bait will have an abrupt and erratic change in speed and direction. These baits are also extremely effective when cast parallel to partially submerged grass edges or near flooded timber and brush. 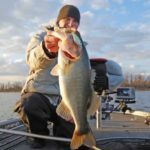 If bass are holding at a specific depth use the “count down” method. 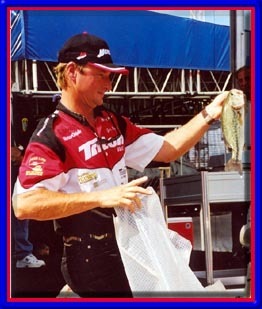 For example, on the first cast begin the retrieve the instant that the bait hits the surface. On the next cast, count to two before starting the retrieve. Then on the next cast count to three before starting the retrieve, and so on. Bill Lewis also makes a floating Rat-L-Trap for those times when you need to work open holes in weedbeds. 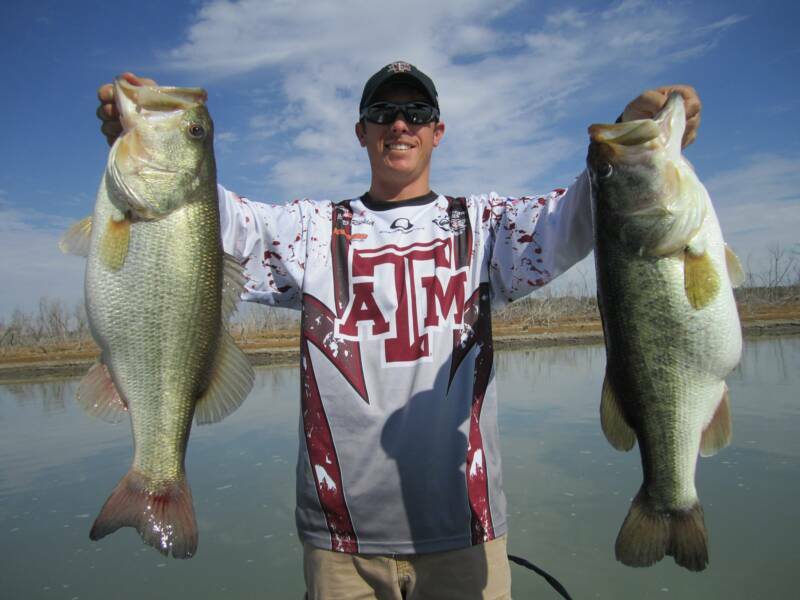 A slow erratic retrieve over these holes will imitate a struggling shad and the strikes can be explosive. I have also had great success using a “bumping” technique. 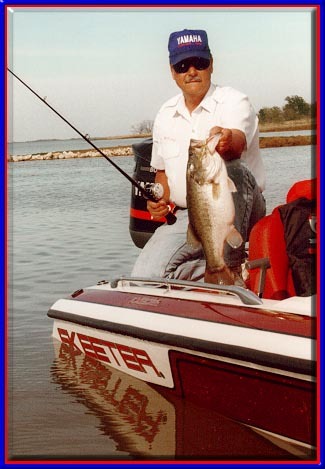 Simply cast the bait beyond an object such as a dock piling, tree, rock, etc., and make the bait carom off the object when it is retrieved. I assure you, there is something magic about a Bleeding Shad bouncing off an object that will trigger a strike when “free-swimming” the bait won’t get a look. The Bleeding Shad is available in three popular sizes — 1/4-ounce, 1/2-ounce and 3/4-ounce, and in eight exciting colors — chrome/green, orange, gold green, lemon, chrome blue, white, chartreuse and tequila sunrise. (I have tested a few of these colors and in my opinion, the chrome blue or chrome green are going to be tough to beat). And don’t think that saltwater fish won’t have a sweet tooth for Rat-L-Traps. According to Chaumont, “The redfish just eat them up.” I suspect that other toothy saltwater critters will also find the Bleeding Shad and other colors irresistible. If you like to fish for trout, crappie, smallmouth bass, whitebass or panfish, be sure to pick up a couple of the “Tiny-Trap” Rat-L-Traps. These baits come in a 1/8-oz. size and have all of the sound and action of the original Rat-L-Trap.. Their size is ideal for the light tackle fisherman that prefers light line with spincast or spinning gear. 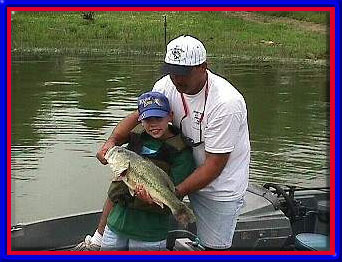 Bill Lewis Lures of Alexandria, Louisiana has been doing business with fishermen like you and me for more that 30 years. It’s a quality organization with quality personnel, and provides a product second to none. If you are looking for that special bait that is almost guaranteed to put a few extra fish on your stringer â€¦ try the Bleeding Shad. You won’t be disappointed. 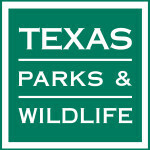 For more information on the Bleeding Shad or other Bill Lewis products, call 1-800-633-4861 or log-onto www.rat-l-trap.com.